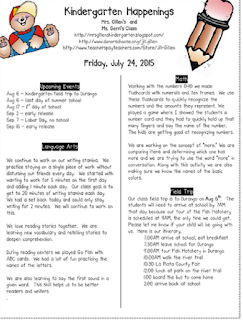 Here is the newsletter from the 3rd full week of Summer School. We have worked hard in 3 short weeks to make new friends, learn the school rules, and begin learning how to read. This class is awesome! Click on image to go to the newsletter for the week.